Regardless of weather the concrete finishes at ground level or below, 300mm depth is not good enough, I wouldnt build a 3ft high wall of that. 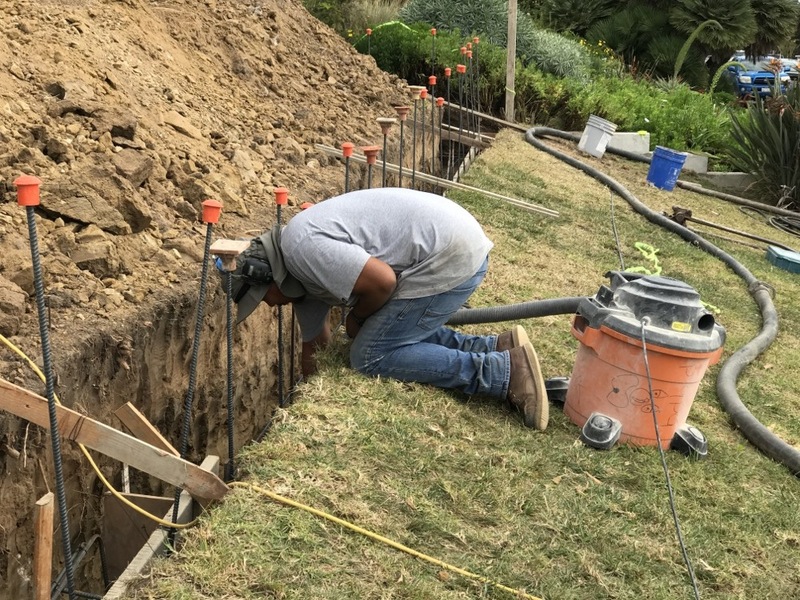 Theres no way he is down to solid ground, with a 7ft wall on a 300mm footing that wall and footing will fail.... Pour your footing first, placing re-bar vertical stubbed out of footer, and wait at least a day for the concrete to harden. Then, form your wall on top of footing. Just placing stakes on the form will not hold, instead, you must place kickers on the wall to hold the form. There are many concrete forms available and different ways they work. Pour your footing first, placing re-bar vertical stubbed out of footer, and wait at least a day for the concrete to harden. 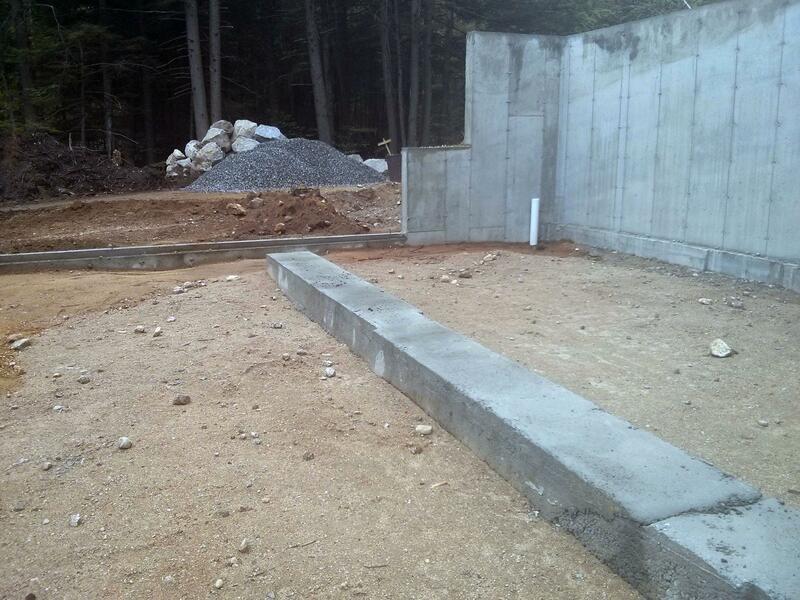 Then, form your wall on top of footing. Just placing stakes on the form will not hold, instead, you must place kickers on the wall to hold the form. There are many concrete forms available and different ways they work.